Green paper lanterns with Little Green Tomatoes Inside! Tomatillos are a staple in Latin cuisine being the key ingredient in green sauces. 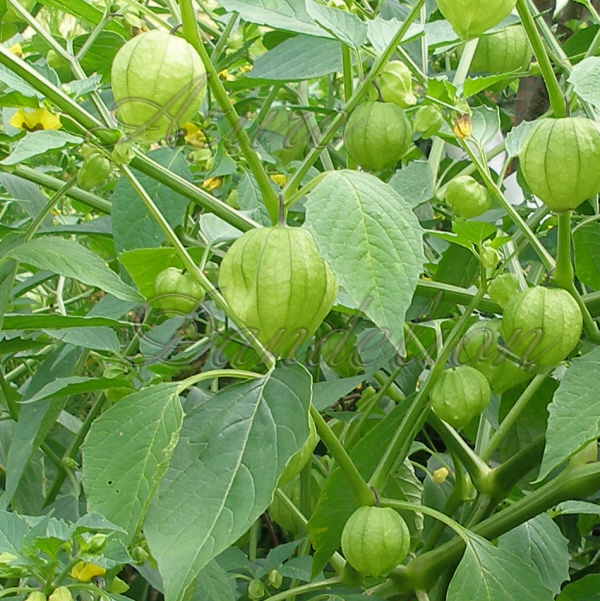 This heirloom tomatillo has yellow green 2″ fruit that is rich in flavor and somewhat tart. The fruit is surrounded by a paper-like husk formed from the calyx. As the fruit matures, it fills the husk. This plant is very productive.